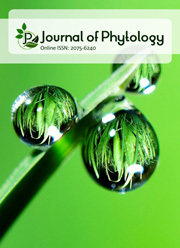 Journal of Scientific Agriculture offers free publishing for articles submitted until May 1, 2019. Journal of Scientific Agriculture (JSA) is an international, peer-reviewed, open-access journal. JSA publishes Review Articles, Research Articles and Short Communications in all fields of agricultural science. JSA is committed to publish and disseminate latest research updates from scientists, researchers and students worldwide through one of the world’s best Open Journal Platforms. The different fields of agricultural sciences include by not limited to general agricultural discipline in Plant/Crop science like economics, engineering, agronomy, plant science, horticulture, breeding, irrigation and soil science with land use and management. In Animal Science fields like animal husbandry, poultry and aquaculture are included. JSA follows Continuous Publishing Model, so that the articles will be added to the current volume continuously without any issue barriers. This helps the journal in rapid publication of accepted articles. There will be one volume per year with unlimited number of articles.